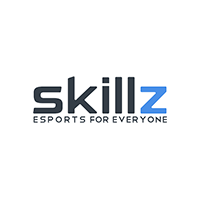 Skillz, the leading mobile eSports platform, connects the world’s 2.6 billion mobile gamers through competition. In 2018, Skillz was named to Entrepreneur Magazine’s 100 Brilliant Companies, Forbes’ Next Billion-Dollar Startups, and the Entrepreneur 360. Skillz has also been named the #1 fastest-growing private company in America by Inc. Magazine and a CNBC Disruptor 50. Over 18 million gamers use Skillz to compete in mobile games across 13,000+ game studios. Founded in 2012, Skillz is headquartered in San Francisco and backed by leading venture capitalists as well as the owners of the New England Patriots, Milwaukee Bucks, New York Mets and Sacramento Kings.